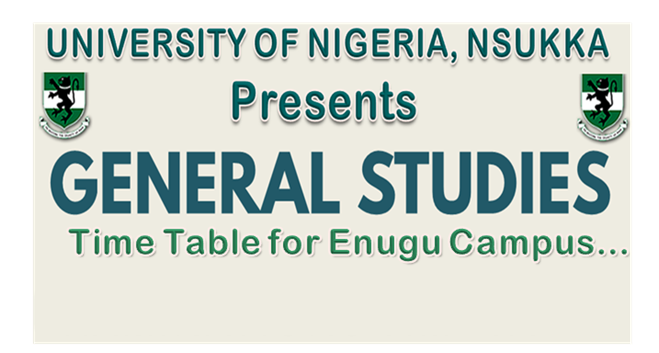 Enugu Campus…. Click to Read More……. Accreditation starts each day by 8.00a.m. Accreditation will begin at the GATE of UNEC Tetfund CBT Centre. NOT AT THE ENTRANCE LEADING INTO THE EXAM HALL. For each of the days you will sit for any of these examinations, you will be identified with a COLOURED PRINTOUT of your EVIDENCE OF COURSE REGISTRATION. DO NOT enter the gate leading into the UNEC Tetfund CBT Centre [for any of the GSP examinations] with any of: Bag, Face-cap, Phone [or related/similar devices], and Wallet. We shall not watch over your items.